Where are the best things to do in Austin? North Austin! The best things to do in Austin are on the Northside! Whether you’re an adrenaline junky, competition nut or puzzle solver, there’s something for everyone in North Austin! High fives all around for completing your first flight! There's no way to describe the feeling of freedom you'll experience your first time in the wind tunnel. Skydive without leaving the ground at iFly Austin! 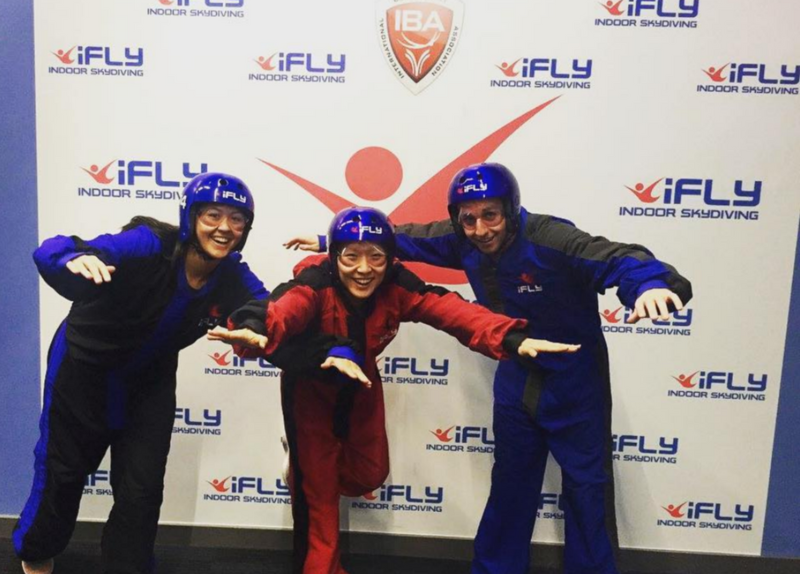 iFly’s reassuring staff makes even the most scared landlubber feel comfortable “skydiving”. You suit up and enter a vertical wind tunnel which simulates skydiving without the fear of heights or falling. Definitely the most unique of the best things to do in Austin. Your Monday never looked so good. A fun way to hit golf balls for newbies and experienced golfers. Reserve a bay with your friends or family and pay by the hour for an air-conditioned, private golfing experience. You can order food and drinks to be delivered directly to you while you play! Dave and Buster’s will bring out the kid in you! From classic arcade games like Pac Man and Skeeball to state-of-the-art Virtual Reality games you’ll find something for everyone! Dave and Buster’s also serves food and has drinks, of course, making it one of the best things to do in Austin! What better way to truly test your relationship with friends and family than an Escape Room? 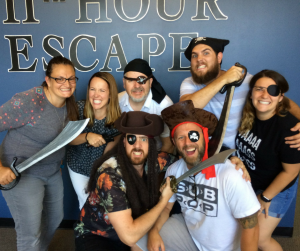 11th Hour Escape allows you to choose from three scenarios: Cottage Chaos, Fallout Shelter, and Pirate Captives. You can also ask for the level of difficulty to be adjusted from easy to hard. Looking to kick it old school? Pinballz Arcade has a huge selection of classic pinball games, arcade video games, plus Skeeball, Air Hockey, and more! They also have a BYOB policy so you can save those quarters for the games! Pinballz is definitely one of the best things to do in Austin! Looking to make the move to North Austin permanently? Apartment Experts South can help! Give us a call today at 512-416-8111 to find your dream apartment in the most fun city in Texas!